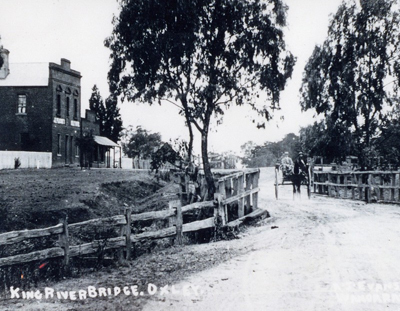 Welcome to the community website for the township of Oxley, Victoria. Oxley is a thriving semi-rural community of approximately 300 people located just south of Wangaratta. 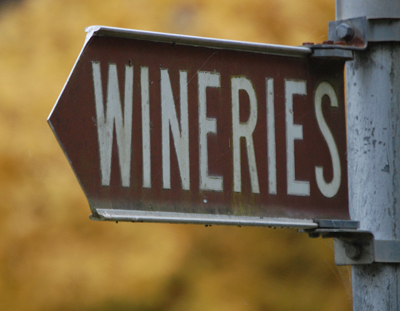 There is plenty of local produce and wineries waiting to be discovered in Oxley and places to eat for breakfast, lunch and dinner. The King River is the lifeblood of the surrounding region providing water resources for irrigated crops, vineyards and grazing and for the Oxley township and is lined with majestic river red gums. 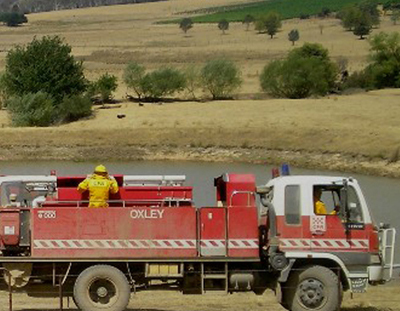 The Oxley Community has a number of active community groups, including the Oxley Rural Fire Brigade, Oxley Residents Association, Oxley Hall Committee, Oxley Recreation Reserve Committee. Welcome to the community website for the township of Oxley, Victoria. Oxley is a thriving semi-rural community of approximately 300 people located just south of Wangaratta. It is worth a drive along the Snow Road to Oxley to try the famous lemon tart at the King River Cafe, pick up some fresh berries at Blue Ox Berries or taste some local wines at Ciavarella Oxley Estate wines and John Gehrig Wines. Oxley is also part of the renowned Milawa Gourmet Region and the King Valley wine region, well known for cool climate and Italian varietals. The town has many active volunteers, making Oxley a great community to live in. This website proudly supports the Oxley Residents’ Association, Oxley Hall Committee, Oxley Recreation Reserve Committee and the Oxley CFA. Please view our Oxley Community Plan for more information about our town and our current community projects and priorities. If you have suggestions for content for the website, please Contact Us. 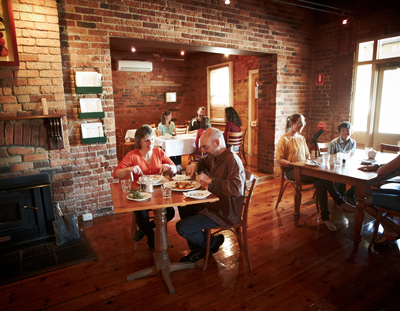 There are a number of places to eat breakfast, lunch and dinner including the King River Cafe, The Oxley Pantry and Sam Miranda Wines. 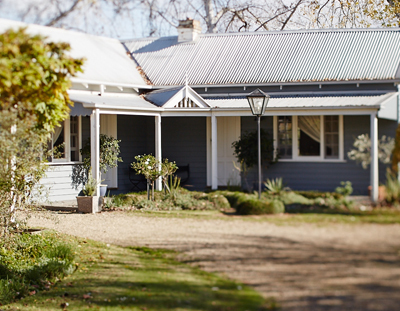 Oxley offers a number of places to stay including 1888 Boutique Accommodation, Will Oaks Boutique Accommodation. 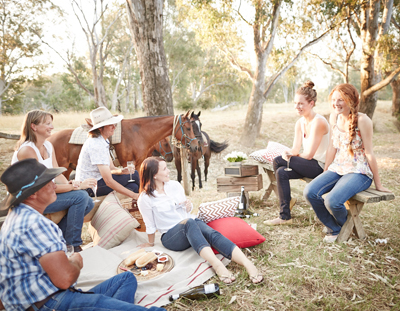 Picnic by the King River, hire a bike from The Oxley Pantry or visit Blue Ox Berries and the wineries. 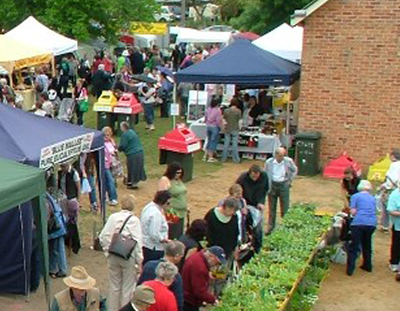 The Annual Oxley Bush Market is staged at the historic Oxley Shire Hall, the market is timed to coincide with the Wangaratta Festival of Jazz and Blues. 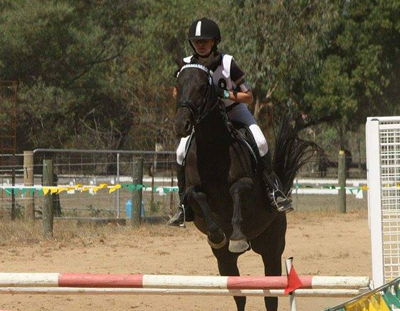 Oxley Recreation Reserve is used regularly for recreational purposes including horse riding and camping. 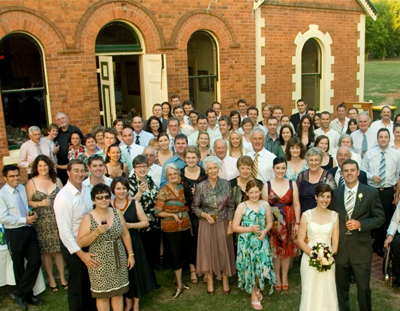 The historic Oxley Hall is the focal point of the Oxley community and is regularly used for community meetings and functions, including movie nights, barbecues and other fund raising events. The hall can also be hired for meetings and private functions. The Oxley Community has a number of active community groups including the Oxley Rural Fire Brigade and the Oxley Residents Association. 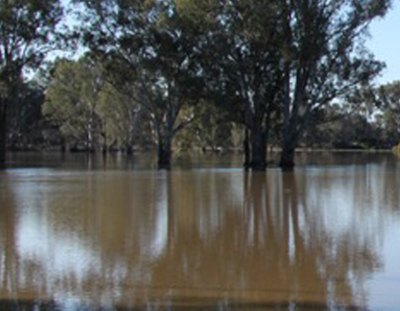 The King River is the lifeblood of the surrounding region providing water resources for irrigated crops, vineyards and grazing and for the Oxley township. 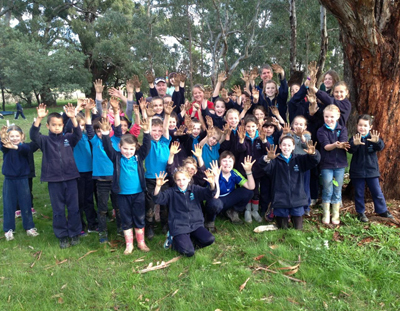 Oxley Primary School is committed to nurturing confident, lifelong learners, in a friendly rural community. Oxley offers a range of cycling. 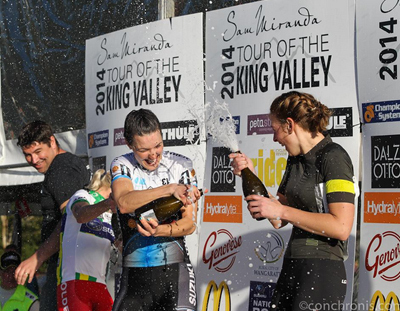 From a leisurely pedal to produce experience to Sam Miranda's National Road Cycling Championships. You are invited to add your news to our content by emailing us at 3678Oxley@gmail.com or dropping off a note to the Oxley Pantry. You can also email us to have your copy of the ORAcle sent to you electronically.